The Chesapeake Gate is shown here with the Chesapeake Arbor and the Chesapeake Extensions. This gate is also available in a double gate when used with an arbor enlarged to a 5' opening. 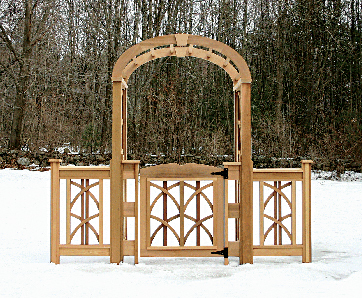 The Chesapeake Arbor and Extensions can be seen in greater detail in the Arbor section of this website.